Thanksgiving is right around the corner, I know we can barely believe it either! With it rapidly approaching it’s time to tap into your inner Martha Stewart and makeover your home with the holiday spirit. Here are our picks for our favorite Thanksgiving decorations! 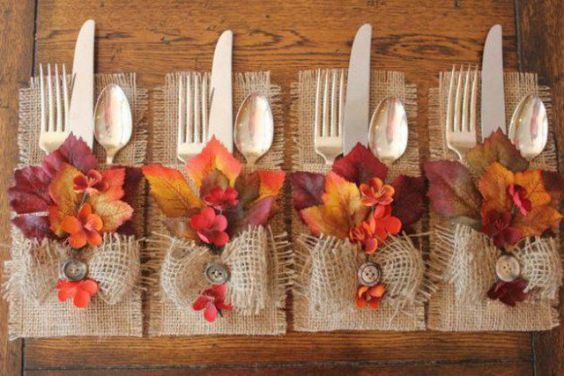 These Diy holders are country chic and bring that fall feeling to your table. 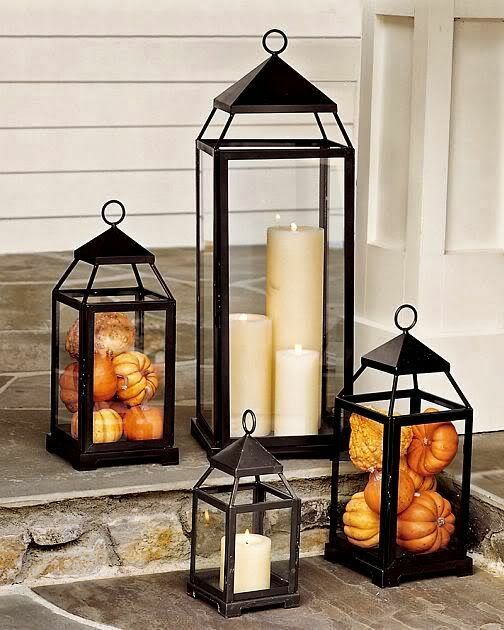 I am a sucker for fall porch decorations, and these candles are no exception. 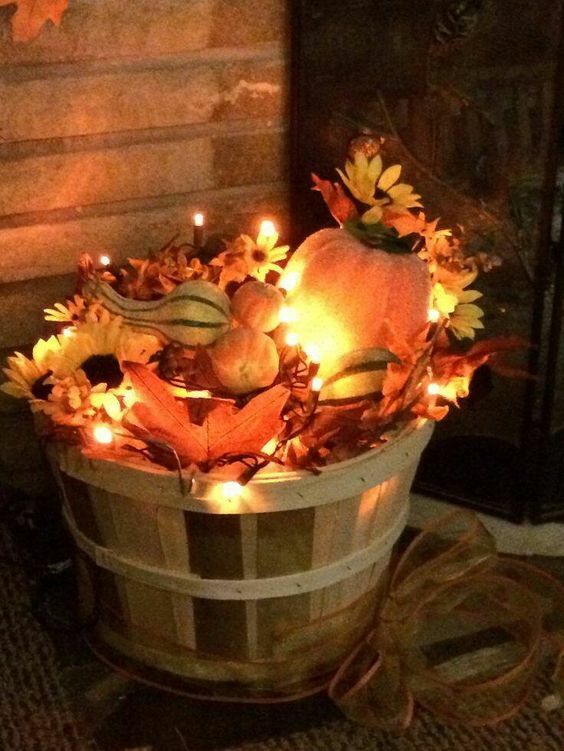 Take an everyday decoration and add some fall flair to it! This corner decor practically screams cozy! The combination of Christmas lights and flowers work perfectly together. These wooden signs are hot decor pieces right now and can be made yourself or even bought at your local Marshalls or home goods store. 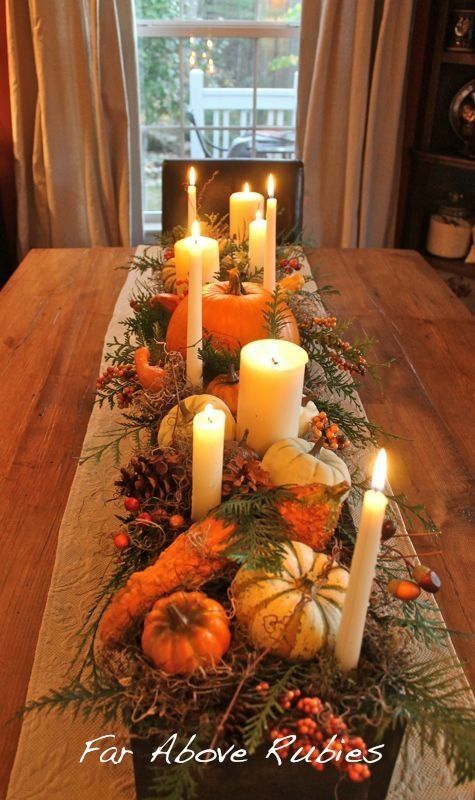 We LOVE this DIY centerpiece. After you build your wooden box you can get creative with what you put inside or copy this design. 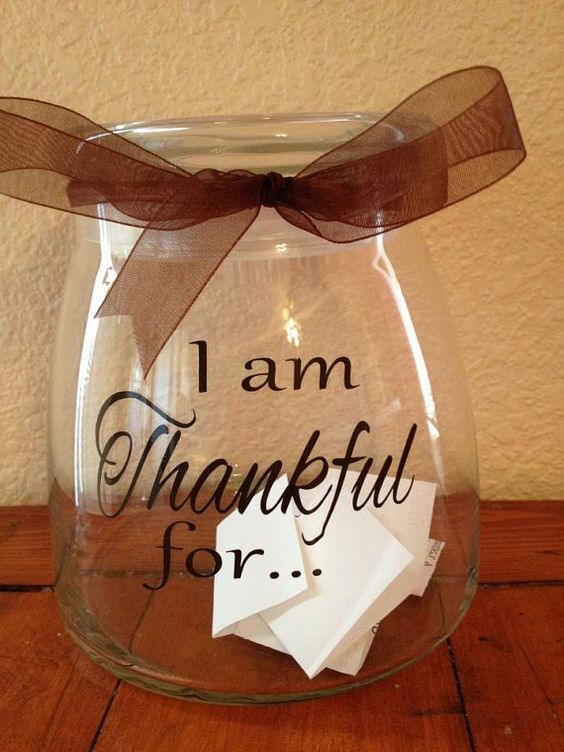 Not only, do we love this jar, but we love the idea behind it as well! Have your guests write what they’re thankful for when they visit your home for Thanksgiving! 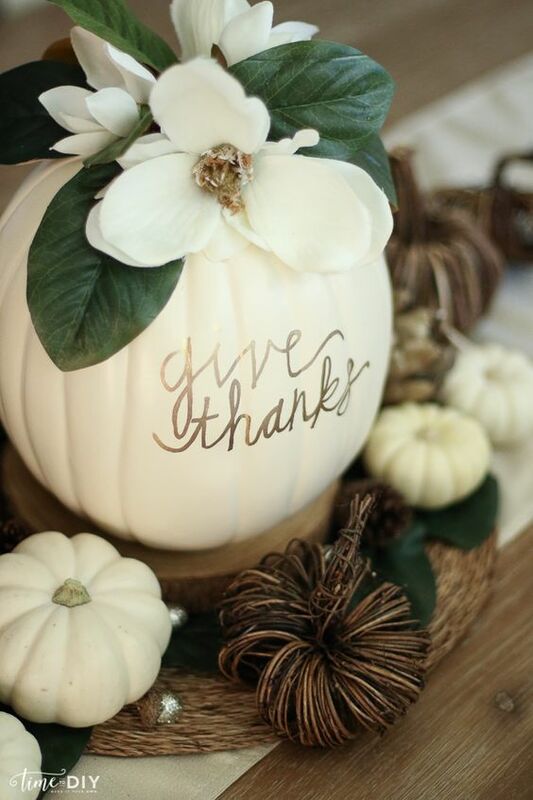 This neutral yet versatile pumpkin will be the Thanksgiving decor your home needs! 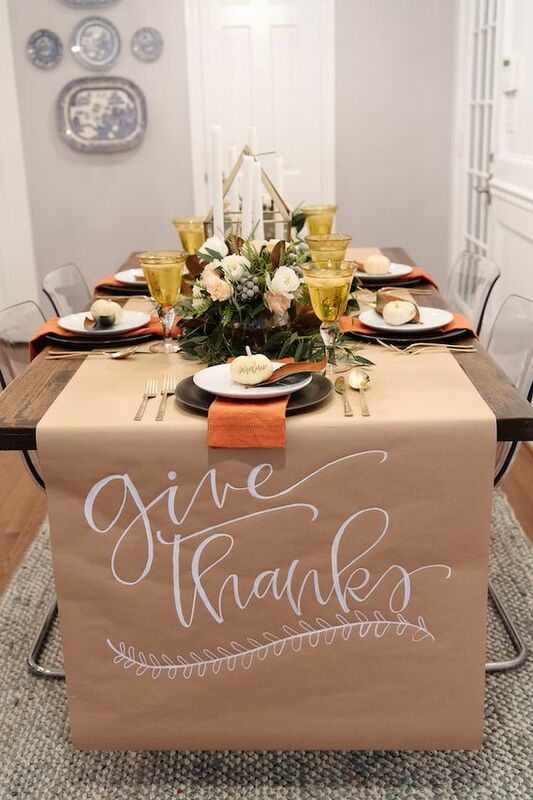 My favorite thing about this DIY Give Thanks, tablecloth is that you can not only customize the message you write on it but you can also have your guests write their own messages on it as well! Something about candles on a fall day that makes a home feel cozy. Add these leaves to add an additional fall touch. Fireplaces and holidays practically go hand in hand. 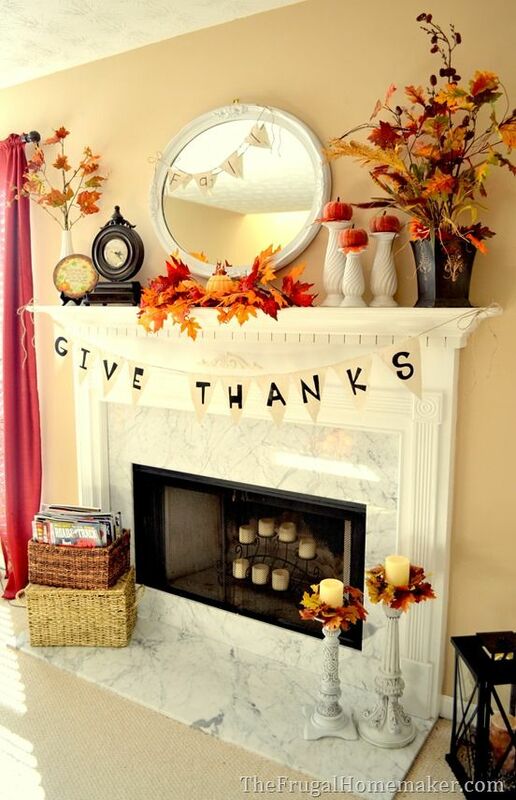 If you have a fireplace but aren’t allowed to use it, take advantage of the mantle for more Thanksgiving decorations!